Xiaomi Mi 4i Review, Great Performance at Affordable Price. One word that comes in my mind after using the device for long is “A MASTERPIECE“. Xiaomi has recently launched their one of best ever device in every terms, whether it is build quality, price, performance, battery backup, camera or software and named it Mi 4i. One word that comes in my mind after using the device for long is “A MASTERPIECE“. Mi 4i is priced at $205 (Rs. 12,999), which makes its the most valuable device ever. 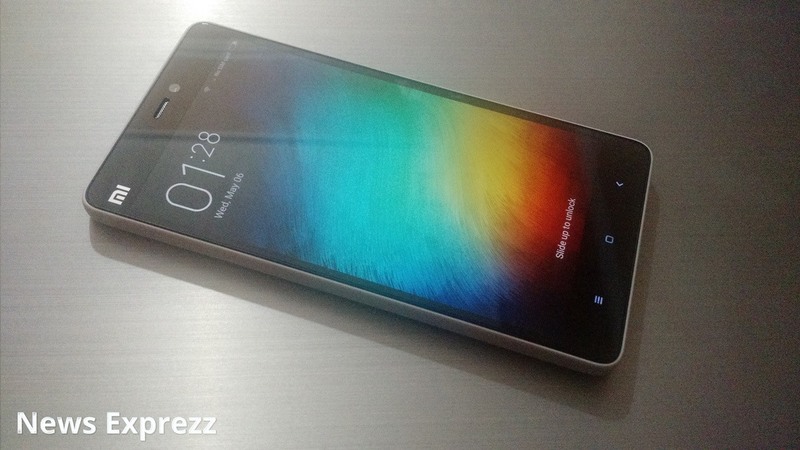 So lets continue with our review of Xiaomi Mi 4i. The phone carries a dimension of 138.1 x 69.6 x 7.8 mm, though it is not the thinnest phone at the moment but it feels quite good in the hand with mere 7.8 mm thickness. To your surprise Mi 4i possesses a unified poly carbonate body with metal power and volume buttons. Though it is not using any premium metal or glass, but it still gives a premium feel in hand rather than cheap experience that is found in mid range Samsung phones. The right side of the phone features a volume rocker and just below volume rocker resides the power button. For me it is quite an uncomfortable position. I am used to power button that reside above the volume buttons. But after using the phone for couple of hours you will get used to it. The bottom side of Mi 4i has a USB port for charging and PC connectivity, while the upper end equips a 3.5 mm jack for earphones. The back panel of the phone has the place for 13 MP camera along with Dual LED flash. At the bottom of the back side it has speakers, which in my opinion should be placed at front for better audio experience without earphones, but they still did a great job. 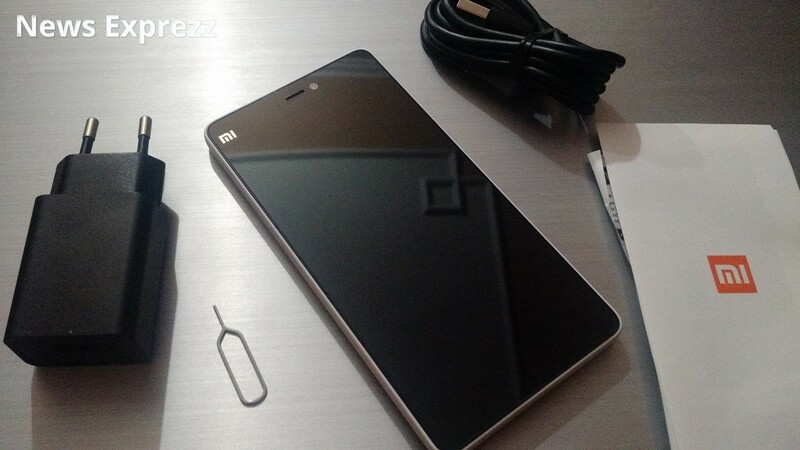 The front features a 5 MP secondary camera with a small MI branding on the top left. Oh, a similar MI logo is also present at the back side just above the speakers. The phone weighs only 130 grams and feel very light in hands. Overall the build quality of the Mi 4i is great. Mi 4i comes in five different colors, i.e Black, White, Yellow, Blue and Pink. You won’t get disappointed with the build quality and comfort of the device. Xiaomi Mi 4i has an awesome display, to be concise it has the best display I had ever seen in this price range. To be honest it throws better colors than Motorola Moto X 2014 especially when the screen has too much of white. Mi 4i has a 5 inches full HD IPS display with a resolution of 1080 x 1920 pixels, which means it has 441 pixels per inch. If this is not enough for you to get convinced with the Mi 4i display, then Mi has introduced a Sunlight Display feature which automatically changes the color reproduction of the screen while viewing the images in sunlight. You can check out the video below to understand what Sunlight Display feature is all about. The primary camera of Mi 4i is 13 MP with dual LED flash with improved HDR support which makes the images crystal clear in most of the light conditions. The front features a 5 MP camera which is great for selfies. Mi 4i has one of the best camera available for selfie lovers with the beautify feature. The camera also detect the faces and give the estimate age along with the gender of the person. This feature is much better and accurate than the recently launched website how-old.net by Microsoft. Plus one for this great feature that actually works and is exclusive to Mi phones. Xiaomi Mi 4i is packed with 2 GB of RAM which make the device almost flawless in almost every task thrown at it. The multi-tasking is as smooth as on any high end device without any lag. The device has a 64-bit Qualcomm Snapdragon 615 octa-core processor which is a second generation version. Theoretically the processor is slower than Snapdragon 800 series which is found in high end device but that does not mean that this device is any where behind the competition. In real world usage, the device is as smooth as any high end device. The internal storage is limited to 16 GB out of which only 11.18 GB is usable. So this is the only place where you need to be cautious as Mi 4i does not provide any expansion slot and you are limited to only 11.18 GB of storage. There are no 32 GB or 64 GB variants of Mi 4i as of now. But if you are not fond of much space, then this won’t bother you; but if your collection of music is very large then you need to look somewhere else or you need to wait until an upgraded variant of this device is available. Mi 4i has Adreno 405 to handle all the graphical needs and it handle it very well without any issues. 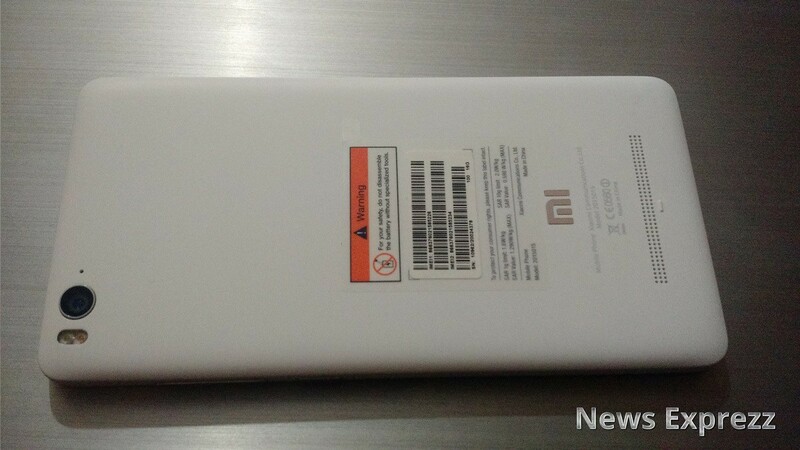 The biggest plus point of Mi 4i here is the battery. The phones has an integrated 3120 mAh battery, which last for 38+ hours with normal usage. Xiaomi has not ignored any part of the phone and has putted their best in every terms. Xiaomi Mi 4i features almost all the connectivity options that a normal consumer will look for. It has 2G, 3G and 4G (LTE) support. It has Wi-Fi 802.11 a/b/g/n/ac with WiFi Direct and hotspot options. It has Bluetooth v4.1 which uses less battery as compared to older versions. The phone also has FM radio and GPS. The device possess a microUSB v2.0 port for charging or PC connectivity without any issues. The only missing feature is NFC that I misses a lot, but at such a low price we can ignore this point. The device comes with Android 5.0.2 out of the box with MIUI over it. 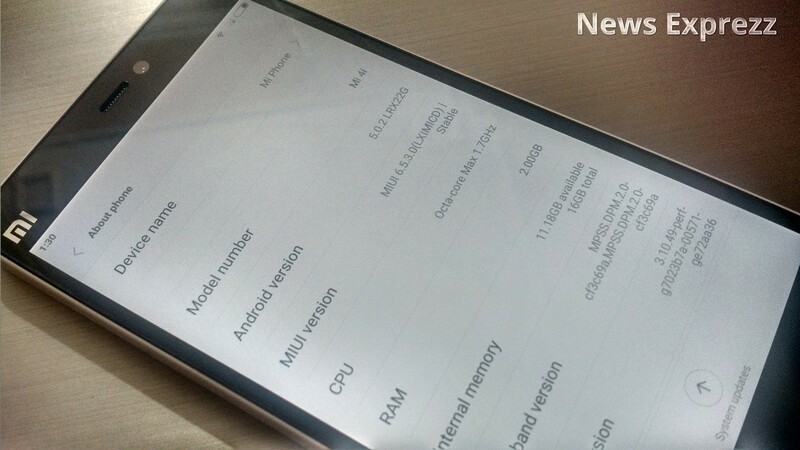 Recently the phone has received an OTA update which updates the device to MIUI 6.5.3.0 (LXIMICD). Soon the device may receive Android 5.1 or above update via OTA. MIUI is known for its customisations, so no doubt that the interface of the Mi 4i is very beautiful. If you are bored with your device interface, then you don’t have to worry, just download a new theme and everything will be changed according to your taste. There are plenty of themes that are available and can be downloaded for free for your Mi devices. As mentioned earlier, Mi 4i is a masterpiece that has been designed by Xiaomi and which is truly build for humans. At no point you will find that this device is lacking anything, whether it is performance or battery backup or the camera quality or the marvelous display, Xiaomi has proved themselves. The revolution is here, The Mi 4i is here. Xiaomi Mi 4i is the best ever device in every terms, whether it is build quality, price, performance, battery backup, camera or software.